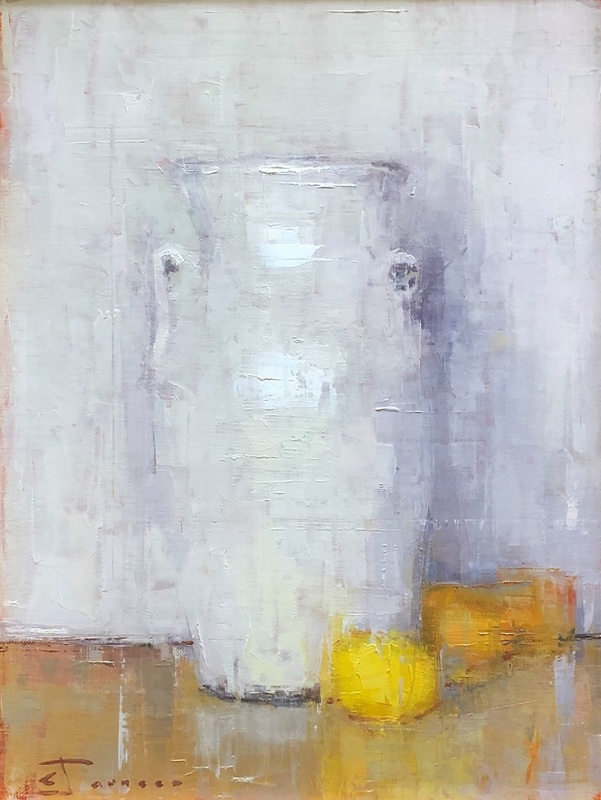 "Lemons, Vase" oil on canvas 18x18-SOLD. 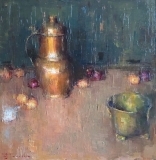 "Brass and Onions", 20x20-oil on canvas. 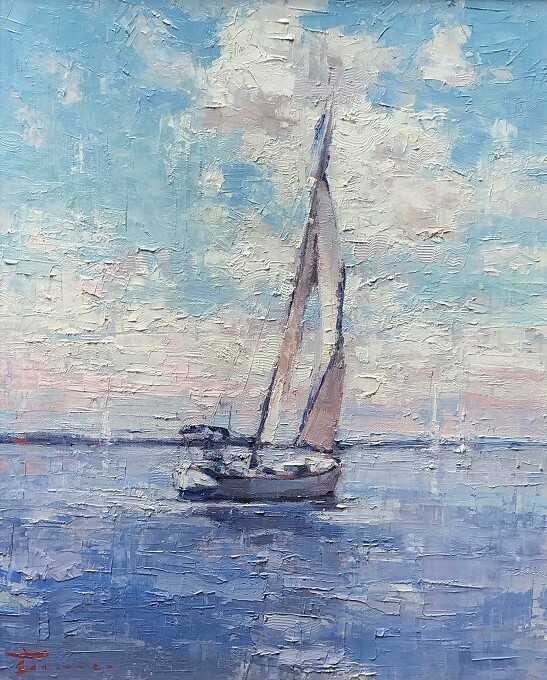 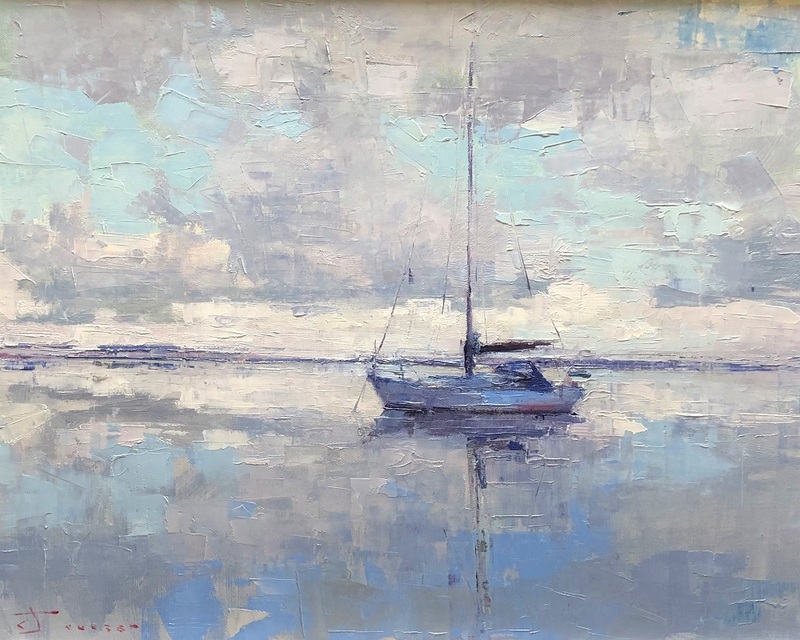 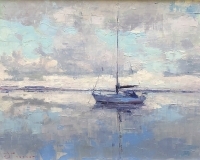 "Morning Sail", 16x20-oil on canvas. 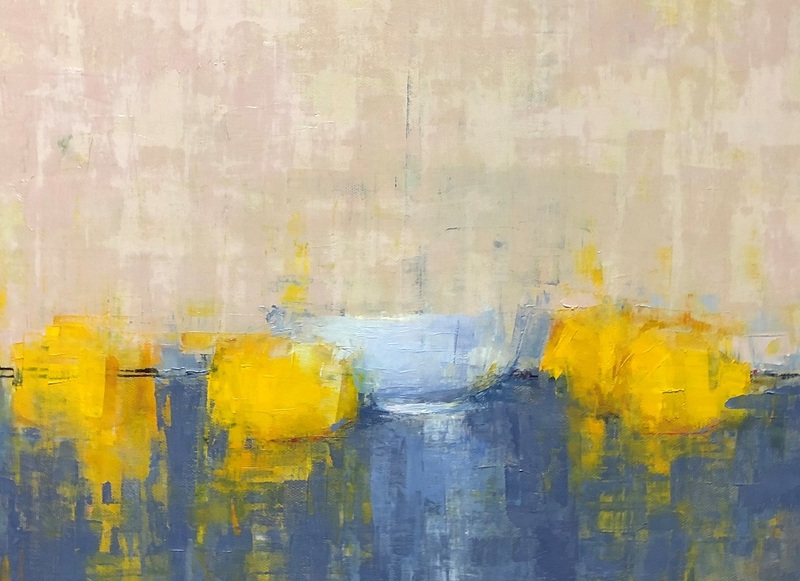 "Two Lemons"- 10"x10" oil on canvas-SOLD. 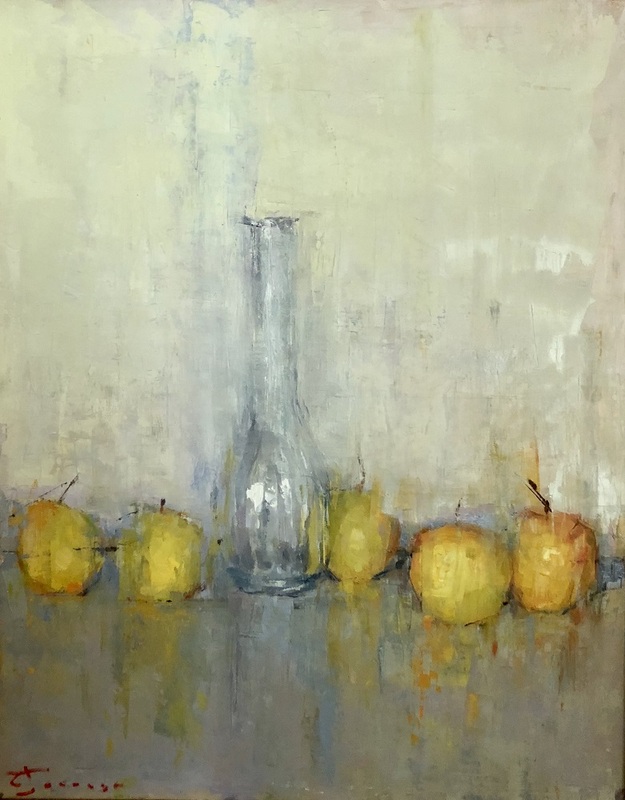 "Yellow Apples and Glass", 16x20 oil on canvas.-SOLD. "Water and Sky", 8x10 -oil on canvas. 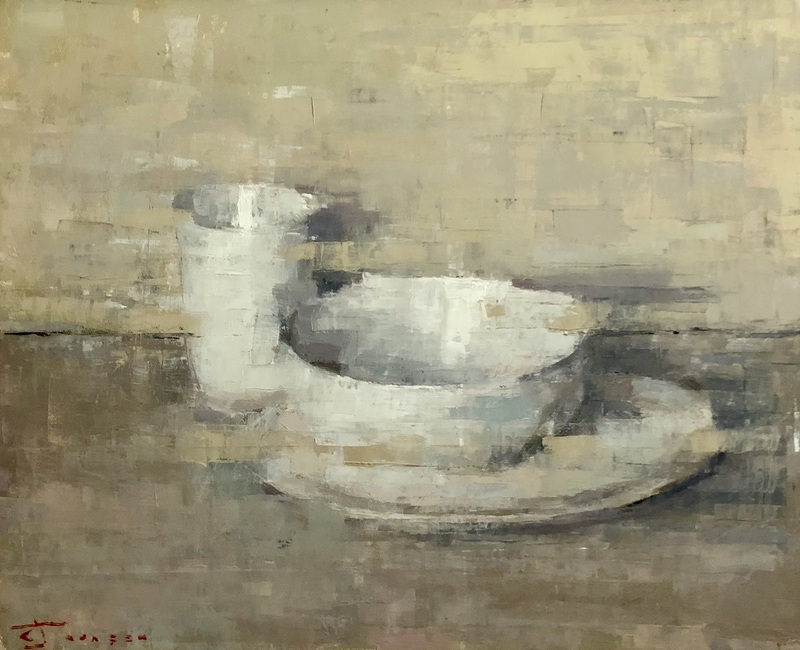 "White Bowl", 12x16 -oil on canvas. 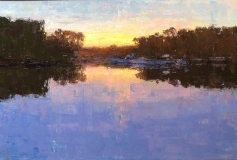 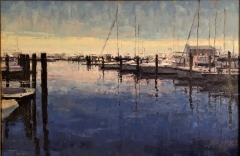 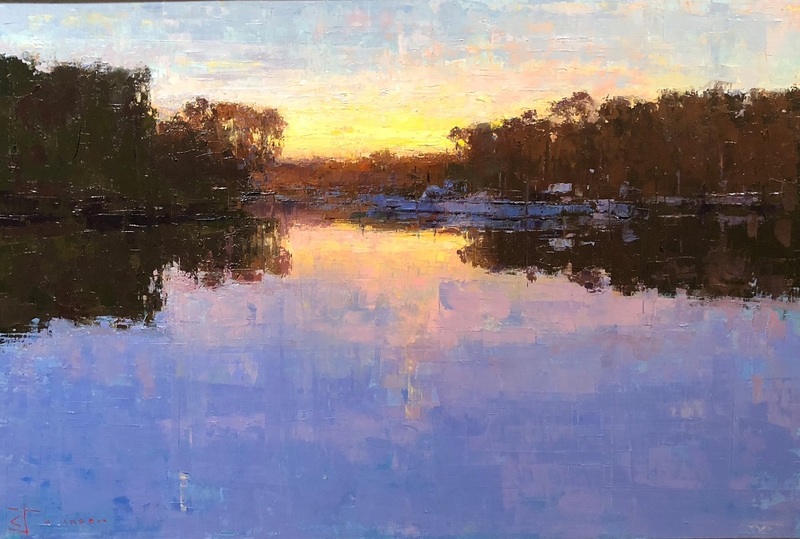 "Reflective Waters II", 16x20-oil on canvas. 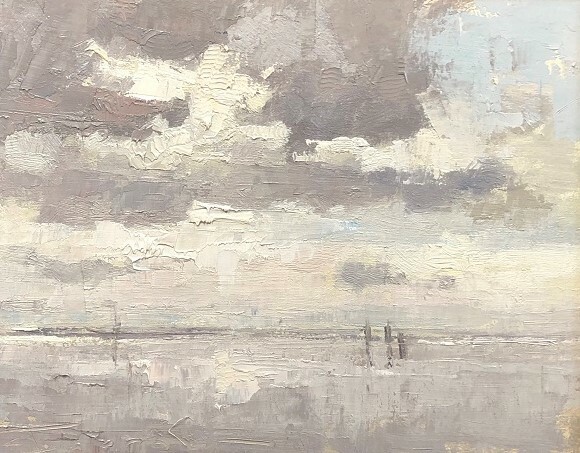 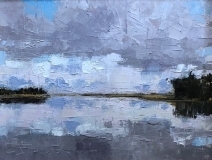 "Reflected Sky", 8x10, oil on canvas.-SOLD. 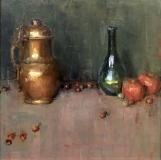 "Plate with Lemons", 10x10-oil on canvas.-SOLD. 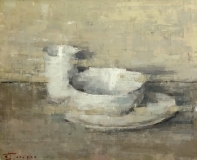 "Bowl and Cup", 16x20-oil on canvas. "Marsh Afternoon II" 12x16-oil on canvas. "Lemon and Bowl I", 10x10-oil on canvas.-SOLD. After 20 years of practice as a professional architect, I spent 2 years—from 2002 to 2004—studying realist art at the Florence Academy of Art, in Florence, Italy. 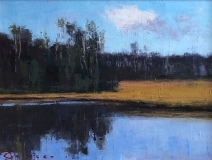 The academy’s teaching methods are modeled after those of the 19th century French Academy to revive abandoned classical painting methods and craft, the foundation of which is the ability to see and render nature accurately. The education I received gave me a much greater appreciation for the beauty and pleasure of art that comes from direct and focused observation. 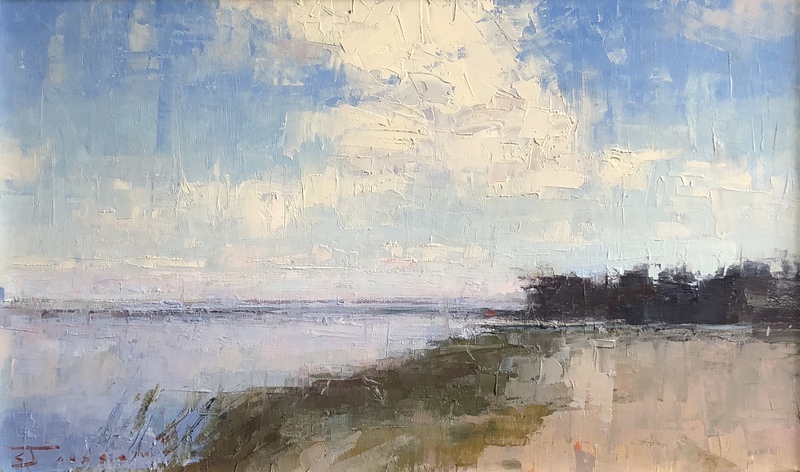 In all of my work I try to engage the subtle variations of light and form as deeply as I can, however, lately I have also been exploring more abstract attitudes regarding the manipulation of paint on the painting surface. 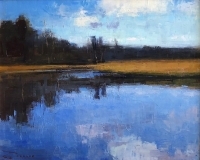 A balance between the two attitudes or approaches creates a tension that I have found to be very exciting.